Thomasina Miers is a lively, credible and professional spokesperson with a lot of passion and thrive for food and cooking. As a professional chef, writer and television presenter, she is an ideal spokesperson for a variety of angles. If you're interested in a chef for any radio or TV interviews please get in contact with us. Thomasina Jean "Tommi" Miers (born February 1976) is an English cook, writer and television presenter. She is the founder of the Wahaca chain of Mexican street food restaurants. Thomasina Jean "Tommi" Miers was born in February 1976 in Cheltenham, the daughter of Probyn and Niki Miers. 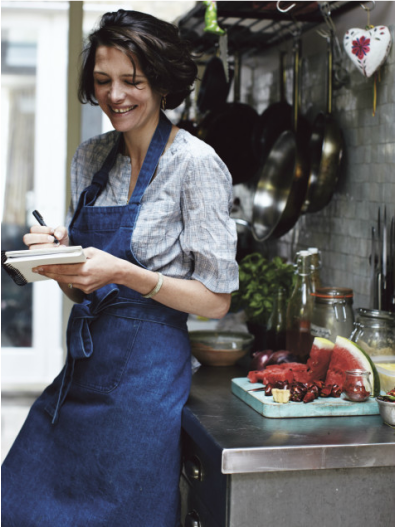 She studied at St Paul's Girls' School and Ballymaloe Cookery School and worked as a freelance cook and writer, with influences from time spent in Mexico. In 2005 she won the BBC TV cookery competition MasterChef, "impressing judges John Torode and Gregg Wallace with her bold and, at times, eccentric cooking style". She has made two series of cookery programmes for Channel 4 with co-presenter Guy Grieve: Wild Gourmets in 2007 and A Cook's Tour of Spain in 2008. In 2011, she presented Mexican Food Made Simple for Channel 5. She is co-editor with Annabel Buckingham of the cookbook Soup Kitchen (with an introduction by Hugh Fearnley-Whittingstall). She has also written Cook: Smart Seasonal Recipes for Hungry People, The Wild Gourmets: Adventures in Food and Freedom, with Guy Grieve,and Mexican Food Made Simple. Miers opened the first of her own restaurants, Wahaca, in the West End of London in August 2007, focused on Mexican street foods. In October 2008 a second Wahaca opened at Westfield in London. Since then she has opened two further restaurants in Canary Wharf and Soho and in 2011, Wahaca launched their first mobile street kitchen, selling Mexican street food on the streets of London. As of September 2015, Wahaca had 19 branches.